Thank You for visiting Johnson Cattle Marketing! For more information please contact Tom Johnson. Offering Quality Replacement Females. Certified F-1's, True F-1's, Brangus, Brafords, Herefords, Brahmans and other premium quality replacements. All cattle have been screened to ensure we offer the best quality commercial cattle. 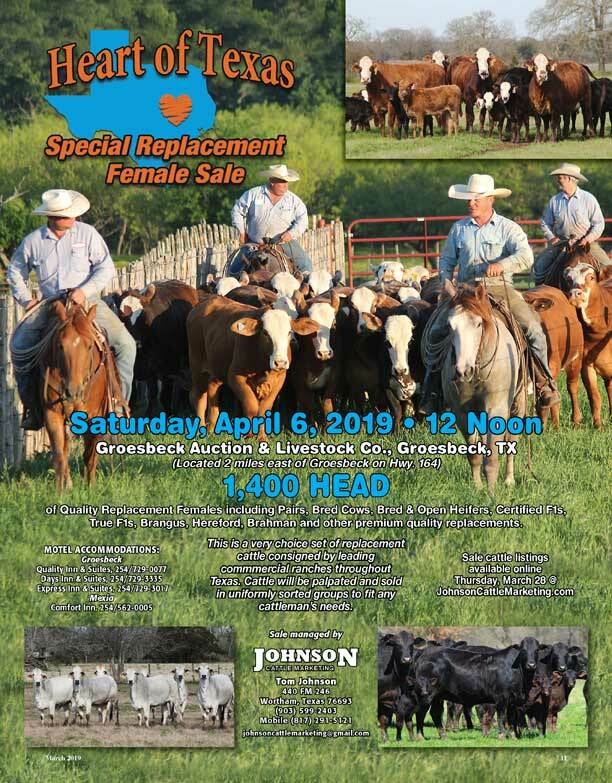 Cattle will be palpated and sold in uniformly sorted groups to fit any cattleman's needs. Copyright © 2018 Cattle Today, Inc.